Let It Come, Let It Go, Let It Flow.. If you like yoga than Centre Yoga Studios is for you! They have a wide range of practices, from Beginners, to HOT power yoga, to Prenatal Yoga and Barre & Soul classes. 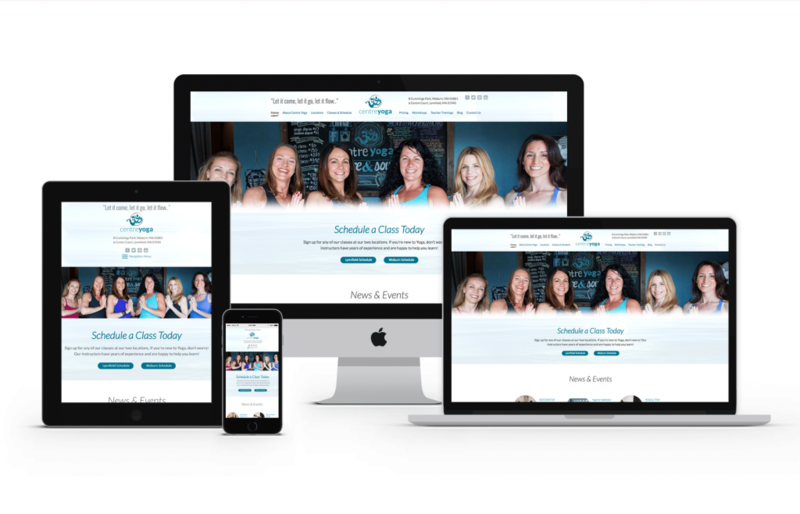 The owner had outgrown her old website and decided it was time for an upgrade. 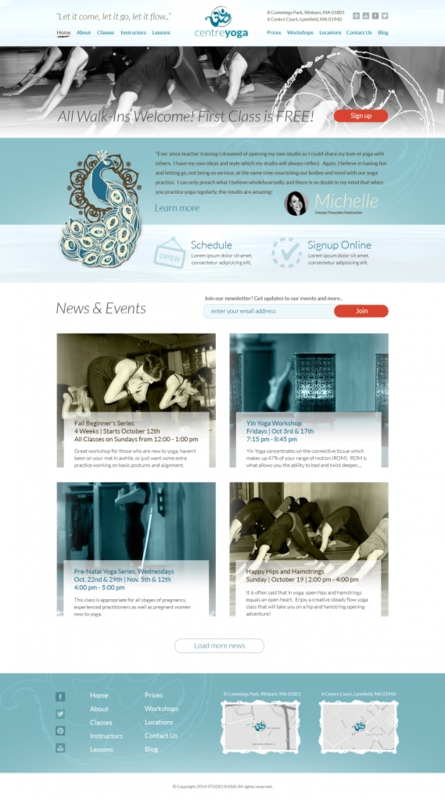 The major goal of the project was to freshen up the brand and make website updates as easy as possible for Centre Yoga. GoingClear designed the new website and added on backend customizations for classes and workshops to update automatically. The site also boasts in depth locations pages with photo galleries and na instructors showcase page with custom biography pop-ups. The new Centre Yoga website is also Fully Responsive and mobile and tablet friendly so visitors are guaranteed to have a meaningful experience with high-quality photos no matter where they are.